Brief Synopsis – After being trapped in a burning building, a firefighter recalls all the years that got him to this point in life. The original script took place in New York, but following the events of 9/11, the story was relocated to Baltimore. 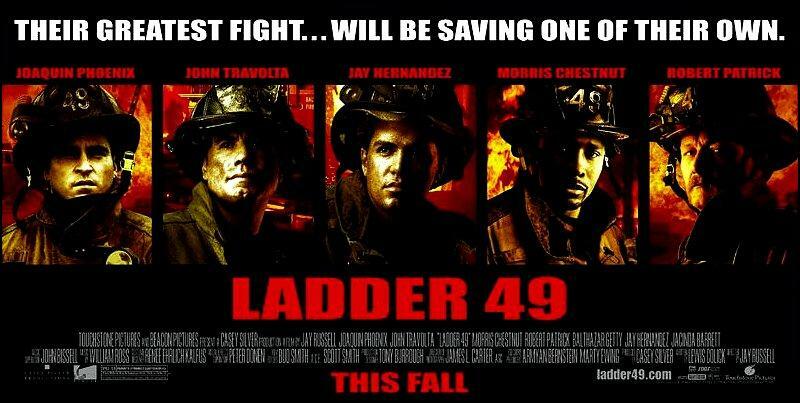 This movie does a great job showing the heroism of Firemen but at the same time the difficult home lives that this kind of profession creates. Both Joaquin Pheonix and John Travolta are great in their roles and we see how each of them grows over the course of the film. This film does it right and makes us feel admiration for the kind of work these brave men and women do. The story itself isn’t perfect and feel a bit choppy because it shows snippets of their lives here and there and then jump ahead a bit. Bottom Line – Great heroic portrait of the difficult lives and work of firefighters. Pheonix and Travolta are both great here. Gives off such a great feeling and admiration for the type of lives and job that these men and women do day in and day out. Recommended!